Set the scene for the perfect party. These gorgeous designer invitations featuring stunning black glitter and sophisticated matt foil will create a buzz. 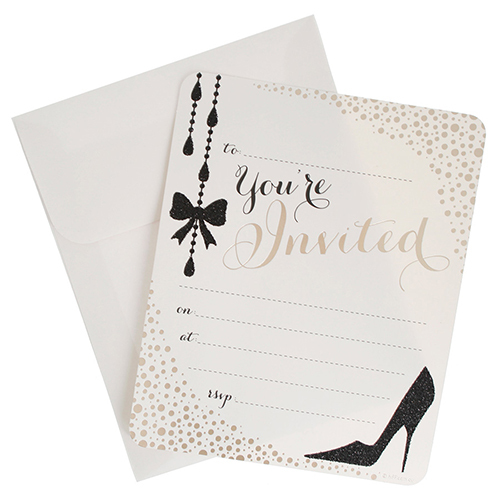 The pack includes 20 party invitations and printed envelopes.